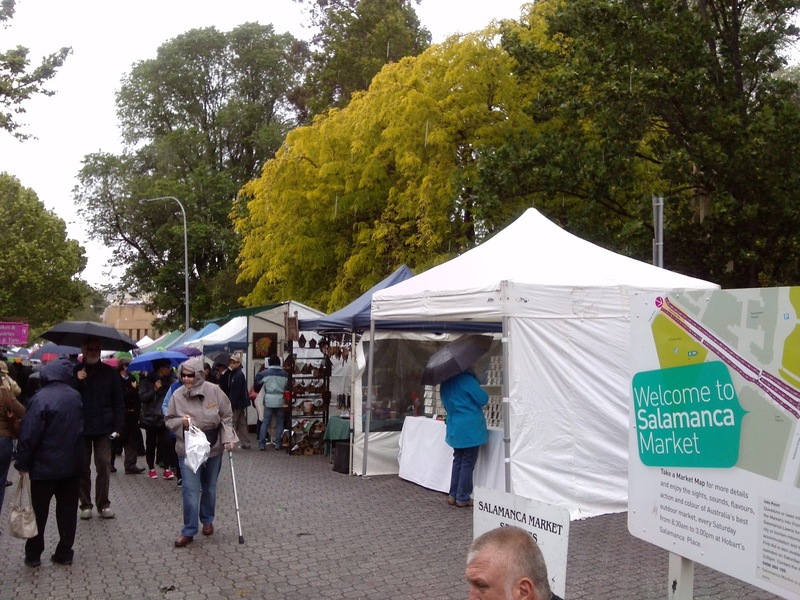 My top Hobart place to go was MONA, but on top of M's list was the Salamanca Market, held every Saturday in Salamanca Square. 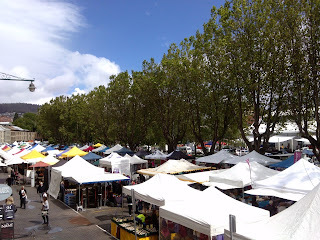 It's quite a big place, showcasing many of the local artisan works, as well as food stalls and fresh produce. 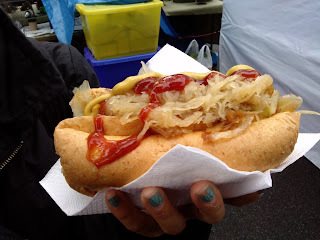 M got a German bratwurst with sauerkraut. Mouth watering right now.